Any child aged 6 to 18 who is behind grade level in reading, writing or math is eligible for our summer program. A trained tutor works one to one with your child following either the Intensive Remedial Reading Program (using Barton which is based on the Orton Gillingham method) or Real Math programs, under the guidance of a certified teacher. Tutors follow an individualized learning plan and set specific goals for the student. This program encourages an interest in reading and math while improving skills. July 8th – July 19th; July 22rd – August 2rd; August 6th to August 16th; and August 19th to August 30st. $450 for a two week session; some subsidies may be available courtesy of the CKNW Kids’ Fund. Please inquire for eligibility criteria on registration. Registration is now open for our Surrey and Langley Tutoring locations. For more information or to register please call 604-591-5156. 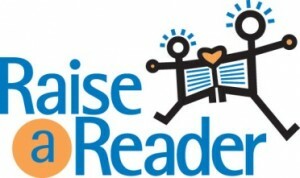 For children aged 6 to 18 that are at least one year behind in reading achievement. Under the direction of a certified teacher, trained tutors work one-to-one using the Barton method (based on the Orton Gillinham method, multi-sensory reading & spelling program) to develop the student’s reading and spelling skills. This program is an explicit and systematic phonics program for students struggling with language processing. Tutors follow an individualized learning plan and sets specific goals for the student. This program encourages an interest in reading while improving skills. One hour sessions. TUTORING NOW AVAILABLE: Mondays Tuesdays,Wednesdays, Thursdays & Fridays. There are some limited spaces available on Saturdays. $45/hr. Some subsidies may be available courtesy of the CKNW Kids’ Fund. Please enquire for eligibility criteria on registration. For children aged 7 to 18 who are struggling to understand basic math concepts or need additional support in math. Under the direction of a certified teacher, trained tutors work one-to-one with students to become aware of, evaluate, and set goals for their learning in math. Based on current research, students are prompted to use manipulatives or “tools” in a playful manner to practice and celebrate their successes on their individualized math goals. Some subsidies may be available courtesy of the CKNW Kids’ Fund.